People that want to play a game of paintball without the equipment can play with paint balloons instead. You can fill the balloons with paint and throw them at others. This can be made into a combat game with teams. 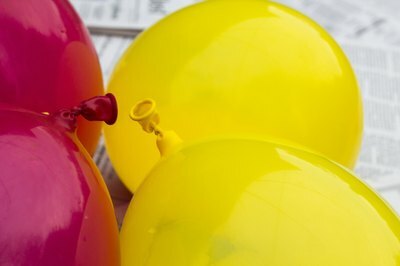 Each team can have a number of balloons filled with a specific colored paint. 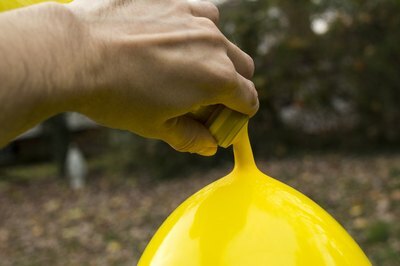 Learn how to make paint balloons and start planning how you will attack your opponents. Wear gloves to start this project. 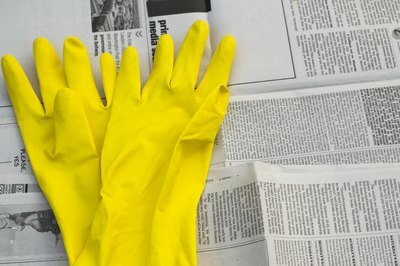 Place newspaper down on your work area. 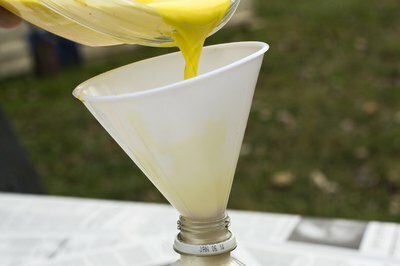 Pour some paint into a clean empty soda bottle using a funnel. You will need enough paint to fill the balloon so that it will break when thrown. 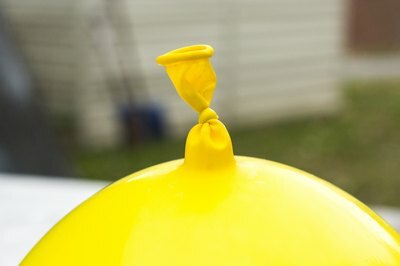 You can try this with water first so that you know how much paint you will need in each balloon. Blow up the balloon. Quickly, place the balloon lip over the bottle opening. 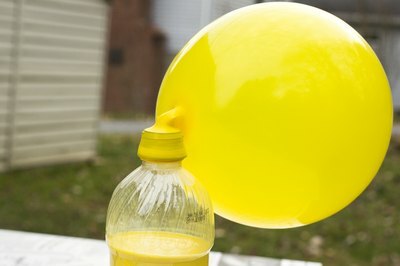 Hold the balloon lip on the bottle and turn the bottle upside down, so that the balloon is on the bottom and the bottle of paint is draining into the balloon. Fill the balloon with all of the paint. Remove the lip of the balloon from the bottle and tie it off. This can get messy and should be done in an area that will clean up easily. When playing with or throwing paint balloons, make sure to wear safety goggles and old clothes.